Senate has approved an extension of the National Flood Insurance Program, ensuring it will be operational through November 20, 2018. All the Program rules and regulations will remain in force and unchanged, and all transactions will continue to be processed. If the Senate had not acted, the NFIP would have expired on July 31st. The final vote was 86-12 in favor of keeping it authorized an additional four months. To discuss your Flood Policy in particular or the Program in general, call the Gordon Atlantic Insurance professionals toll free at 1-800-649-3252. Prefer to type versus talk? Use the form to the left of this blog. Homeowners that are required to have a flood policy with the National Flood Insurance Program (NFIP) may be affected by the current government shutdown that began on January 20, 2018 depending on when your policy - or a pending closing - is effective. If your flood policy renewed prior to the expiration of the program (December 23rd) and you have paid your renewal, then your policy remains in force. Those who did not pay their renewal premium before or within the 30-day grace period may run the risk of not having coverage, loss of grandfathering and other penalties. If you are purchasing a new house or property within a flood zone, you'll need a flood policy. If you have a sale pending, the application and payment must have been received and dated before the flood program expired (January 20) for the policy to be issued. This is also the case for closing dates after January 20th. However, if you have a pending closing and have not submitted the application and payment, your closing will probably be delayed until the government re-authorizes the National Flood Insurance Program, or unless you choose a private flood insurance carrier such as offered at Gordon Atlantic Insurance. 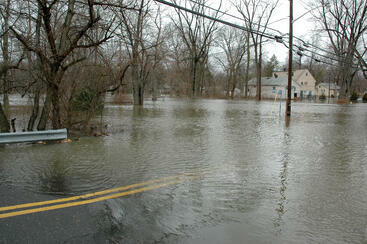 See our article on private flood insurance options here. How will claims be handled? Policies that are in force before midnight of the last effective day of authorization will remain in force until their expiration date and claims under those policies will be processed and paid as usual. Claims for covered losses occurring during a lapse, on existing policies and on policies in force after the last effective day of authorization, are to be processed and paid as usual. FEMA will notify NFIP stakeholders when the program has been reauthorized. Naturally if we can help with NFIP placement or with a private policy, just contact us. 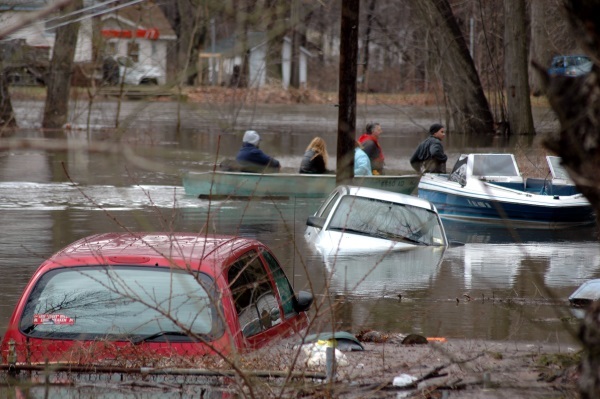 How Do Flood Map Changes Affect Flood Insurance Costs? The flood maps changes in many Massachusetts communities means your flood risk may become higher or lower. This will affect what you pay for flood insurance. Flood maps have become more accurate over the past several years as mapping technology has improved and Congress has determined to transition away from highly subsidized rates. Scenario 1: If the flood maps change from a low or moderate risk to high risk (flood zone B, C, or X) to zone A, AE, AR, A99, AH or AO). 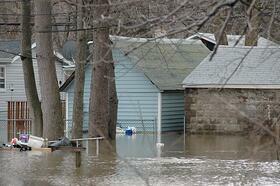 Flood insurance is mandatory for most mortgage holders. Insurance costs may rise to reflect the true (high) risk. The Preferred Risk Policy (PRP) Eligibility Extension Program can offer savings. To ease a homeowner's transition from a moderate-to-low risk area to a high-risk area, which would require the mandatory purchase of flood insurance (if you have a mortgage) and an increase in flood insurance costs, the National Flood Insurance Program is extending eligibility for the lower-cost Preferred Rate Policy to properties that were remapped on or after October 1, 2008. "Grandfathering" can offer savings, but is changing from the 'good old days' when you could lock a highly subsidized rate. 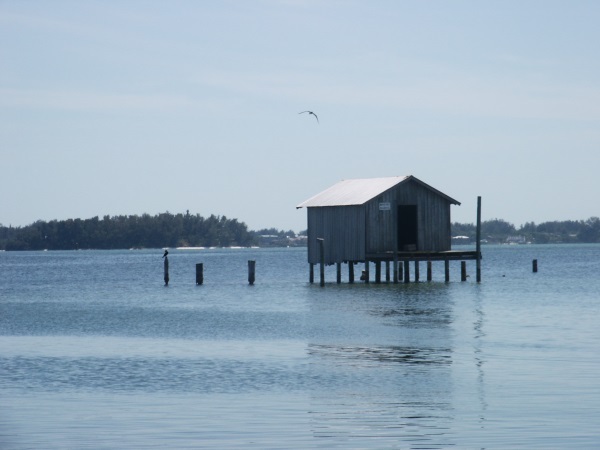 The National Flood Insurance Program has rules to recognize policyholders who built in compliance with the flood map in effect at the time of construction or who maintain continuous coverage. Sometimes, though, using the new flood maps can actually result in a lower premium, especially if the home is high enough above the Base Flood Elevation (BFE). In addition, buildings newly mapped into a high-risk area may be eligible for the lower-cost Preferred Risk Policy (PRP) for two years after a map change, before they grandfather in the lower-risk zone rates. Flood insurance is optional but recommended. The risk has only been reduced, not removed. 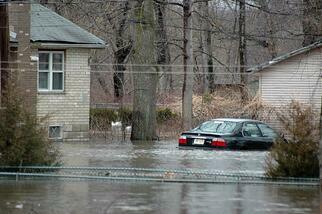 Flood insurance can still be obtained, and at lower rates. Even though flood insurance isn't federally required, anyone can be financially vulnerable to floods. People outside of high-risk areas file over 20% of NFIP claims and receive one-third of disaster assistance for flooding. When available, disaster assistance is typically a loan you repay with interest. Conversion offers savings. An existing policy can be easily converted to a lower-cost Preferred Risk Policy if the building qualifies. Note that lenders always have the option to require flood insurance in these areas. Scenario 3: The flood maps show an increase in the Base Flood Elevation (BFE). These requirements or options apply to scenario 3. An increase in BFE can result in higher premiums; however, "grandfathering" can offer savings. The National Flood Insurance Program grandfathering rules allow policyholders who have built in compliance with the flood map in effect at the time of construction to keep the earlier base flood elevation to calculate their insurance rate. This could result in significant savings. Scenario 4: No change in flood zone risk level . These requirements or options apply. There may be a change in insurance rates. Higher rates apply to secondary homes, homes with severe repeated losses, and business property. It is still a good time to review your amounts to ensure that your building and contents are adequately protected. 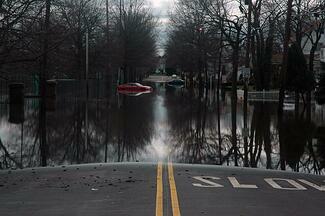 Our agency is happy to assist with securing or reviewing flood insurance coverage. Learn more about your flood insurance options here. Last Friday (June 29) Congress overwhelmingly passed an extension of the federally underwritten National Flood Insurance Program (NFIP), with the Biggert-Waters Flood Insurance Reform and Modernization Act of 2012. Passing the bill was part of a broader effort by Congress to fund Transportation spending, student loans, and other deadline provisions before the end of June. President Obama has signed the bill. The bill makes several important changes to the federally underwritten flood insurance program that will affect over 5.5 million policyholders. The most important is a 5-year extension of its authority, after six temporary extensions over the past two years. These temporary extensions missed renewal deadlines several times, creating uncertainty in the real estate market including delayed property closings. This extension for five years will return some predictability to the market, particularly on the coast and along the Mississippi flood plains where lenders require flood insurance protection. How will the bill work? A stated objective has been to reduce the exposure taxpayers have to major flooding events through adoption of more actuarially supported rates. After Hurricane Katrina, the National Flood Insurance Program went $18 billion into the red, and has owed this to the Treasury since then. Paying that back is one goal; remaining self-supporting is another. To achieve this, the program will phase in rates that more closely match exposures. Matching rates to risk is routine with for-profit companies, but subsidies have been in place for years to promote coastal real estate development and to support an insurance market where private carriers cannot achieve adequate ‘spread of risk’. These subsidies will be reduced. In one step to make rates more scientific the bill requires the NFIP to create a technical mapping advisory council to take advantage of mapping technology strides already embraced by the private insurance industry. How will new costs transition in? The bill will reduce subsidies built into the previous models by degrees. Rate increases are targeted especially at secondary homes (vacation homes), so if you have a beach house as a vacation home, your rate increases will be higher than folks who live near the shore full time. The bill also provides for relocation of homes with repetitive claims; it doesn’t make sense to keep rebuilding homes in places that flood regularly. Businesses will also be subject to non-subsidized rates sooner. And Flood map changes will likely put many homeowners into zones that were previously not considered in the 100-year flood plain. Rate increases, formerly capped at 10% per year will be allowed to rise 25% annually to achieve this projected financial stability, 20% for those affected purely by flood map changes. There are provisions that affect commercial properties as well. Multi-family properties will soon be eligible to obtain NFIP protection. The bill also calls for the Government Accountability Office (GAO) to study the impact of adding business interruption and additional living expenses to commercial risks, coverage that is considered important, and routinely included, on non-flood commercial policies. Any old features being eliminated? Grandfathering is out. It used to be that if you bought a house from someone who had secured a highly subsidized rate from the early days of the program, you could transfer the policy from seller to buyer. No more. No transition applies to these transactions either, meaning the new rate is in effect immediately upon a building purchase. Extending stability to the program is a good step, and a trend toward risk-based pricing is long overdue. Some homeowners will see rates rise, especially on secondary homes or homes with repeated claims. But a return to a self-supporting program was an important goal for Congress, and the bill appears to include what it will take to do that. A more recent blog on Biggert-Waters appears here. If you're looking for insurance along the coast or just want to learn more, check us out at www.agordon.com. An elevation certificate measures the difference in elevation between your home and the base flood elevation of your area. It is now being required to rate certain post-FIRM buildings properly: buildings constructed after the publication of the first Flood Insurance Rate Map (FIRM) in a particular community, in certain high risk zones including: A1-A30, AE, AH, A (with BFE), VE, V1-V30, V (with BFE), AR, AR/A, AR/AE, AR/A1-A30, AR/AH, and AR/AO. However, an elevation certificate is generally not required to buy flood coverage for pre-FIRM buildings (roughly pre-1970 in this area) except to see if the cost could be lower. 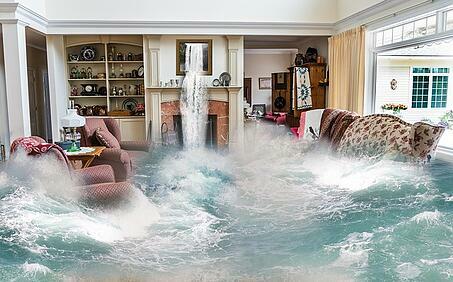 For some homeowners, the certificate may save significant flood insurance premiums long-term. The elevation certificate must be signed and sealed by a land surveyor, engineer or architect authorized by law to certify such information. Most elevation certificates are prepared by surveyors licensed by the state in which the subject property is located. How do I get an Elevation Certificate? There are several local qualified surveyors / engineers here on the South Shore who can create flood certificates for you. The process is fairly direct: they dispatch a survey team whose first job is to locate a certified elevation marker near the property. Once a good benchmark is established, they measure the elevation of the land adjacent to the property, including notes on what may be fill. Once the lowest and highest adjacent grade are determined, they measure floor heights, note location of mechanical systems (such as in the basement), floor elevations, and so forth. The National Flood insurance Program (NFIP) has its own set of metrics to distinguish walk-out basements, piles, flood openings, and other characteristics. When the surveyors return to their office, the surveyed property is overlaid onto the appropriate flood maps. Properties in V-zones usually require special underwriting review than A-zone or low risk zone properties. V-zones designate "velocity" of wave action and location data is often more complicated. How much does an Elevation Certificate cost? An elevation certificate costs from $600 to 1200, depending on location. This may depend on proximity to a NFIP approved benchmark, the flood zone (Zone V generally involves more time in research), and complexity of the property. What you're paying for is the professional's time to make measurements in a format acceptable to the National Flood Insurance Program. The NFIP is trying to get to true risk-based rates as quickly as possible. Some homeowners have been required to get a flood elevation certificate if located in A or V zones. Without the certificate for A or V zones, the rates will go up based on worst case scenario rates. The NFIP uses a better set of rates when the elevation certificate is supplied. Getting the elevation certificate is advised for anyone located in an A or V zone. 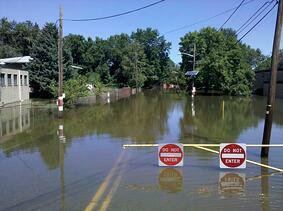 This way you know where you stand so you may take charge of the cost of your flood insurance. If you find your property is rated below base flood elevation, there may be ways to mitigate this. Obtaining the elevation certificate is the starting point to evaluate what measures may be taken to reduce your flood insurance premium. For questions on your policy and whether or not you need an elevation certificate, click below, call 800-649-3252 or drop us an email; one of our experts here at Gordon Insurance will get right back to you. Get a coastal insurance ebook here. President Obama signed a bill authorizing the continuation of the National Flood Insurance Program (NFIP) on December 23 extending the program to May 31, 2012. This was the sixth last minute extension of the program in the past year and a half, though Congress has worked hard over the past year to pass a 5-year extension with several structural changes. The NFIP has been around for decades and today is the primary vehicle for providing insurance for about 5.5 million property owners around the country. Locally, many homes in eastern and southern Massachusetts are insured by or have been rebuilt with NFIP insurance. In July, the House overwhelmingly passed a bill (HR 1309) that would have made fundamental changes to the program that provides flood insurance to businesses and families around the country. Proposed changes included a gradual path to removing taxpayer subsidies, and put the program on a sustainable footing. But these changes met resistance in the Senate, where the bill died. The existing program is in trouble. A lingering debt of $18 billion remains on the books from 2005; and big spring rains or a 2012 hurricane could increase that shortfall without notice. Conceptually the National Flood Insurance Program makes sense: private insurers don’t want to insure against geographically concentrated losses because of an insurance concept known as ‘spread of risk’. The national government can withstand concentrated losses by spreading risks across the entire country. The problem is that the current rates are not developed with the same detail as private insurers do when trying to make a profit. As an example, in 2006, the year after over $17 billion in losses from Hurricane Katrina, average NFIP rates actually went down. Subsidized pricing also leads to a problem known as ‘adverse selection’: flood insurance is a great deal if you’re really near the water; it’s not a great deal if you’re only mildly exposed to flood waters. Pressure from interest groups such as builders, developers, realtors and property owners delivers a political angle that prefers the status quo. However these groups also generally agree that continued temporary extensions can be disruptive as well. State Farm, one of the country’s largest providers for homeowners insurance, dropped out of participation in NFIP in June 2010 in large part due to frustration over frequent temporary extensions. We were optimistic for long term sustainability over the summer when the House passed its 5-year bill, but are less optimistic today. Congress has been unable to develop a program acceptable to both the House and the Senate over the past year in spite of its structural problems. We believe now that the program will continue with temporary extensions and without change until after November 2012 elections, or until after the next big hurricane or other flooding disaster puts the program deeper in debt. Given the extension until May 31, we can be grateful that home closings won’t be delayed by the absence of insurance, at least until then. Learn more about homeowners insurance here.